A large undeveloped piece of land between Kathryn Albertson Park and the Boise River could soon be home to a large apartment project. Jayo Holdings and WHPacific asked the City of Boise to approve Trappers Island on the site. 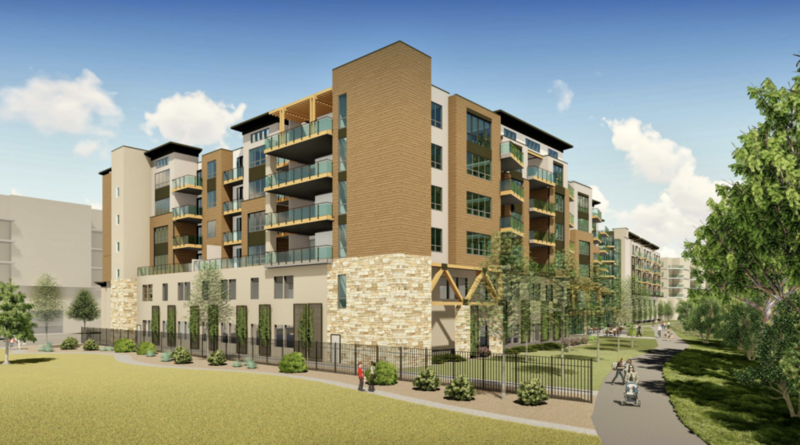 The project would bring more than 300 condos to the 7.4-acre site if built as proposed. The Trappers Island development is on the former site of the KOA. BoiseDev FIRST members received this in their inbox before the general public. Become a member today and support our independent journalism and get our daily scoop sheet. 304 condo units in five six-story buildings. One and two-story condo units. 137 one-bedroom layouts, 167 two-bedroom units. Each building would feature one to two stories of “podium parking” with four stories of condos above. This unique design features a 3rd level top-of-podium courtyard that is accessible to all residents of the building, adding to the sense of community for residents,” Jane Suggs with WHPacific wrote in a letter intent. Pool area along Settlers Canal with wading, swimming lanes, a swim-up bar and sun deck, cabanas and a grass turf area. Space for a bakery/restaurant or bistro along the Boise River Greenbelt. A second small retail space. “We are labeling this space as a potential bike shop or bike repair station,” Suggs wrote. The application indicates City of Boise guidelines would require 419 parking spots for this type of planned unit development. 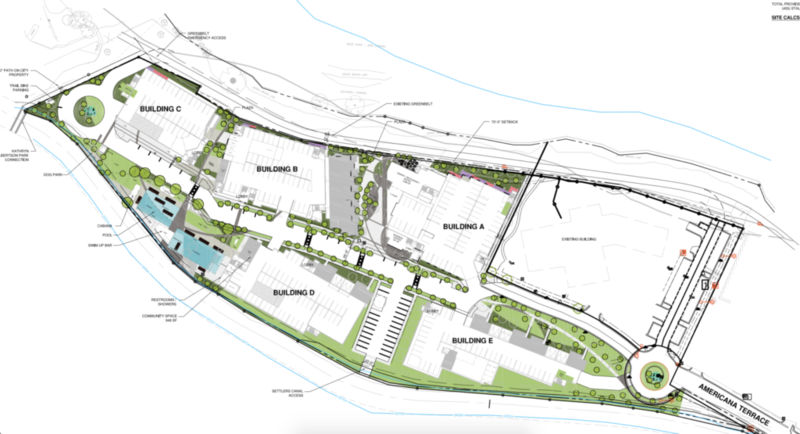 The proposal includes 455 spaces. A trail bike parking station is planned along a connection from the Boise River Greenbelt to Kathryn Albertson Park along the west side of the project. 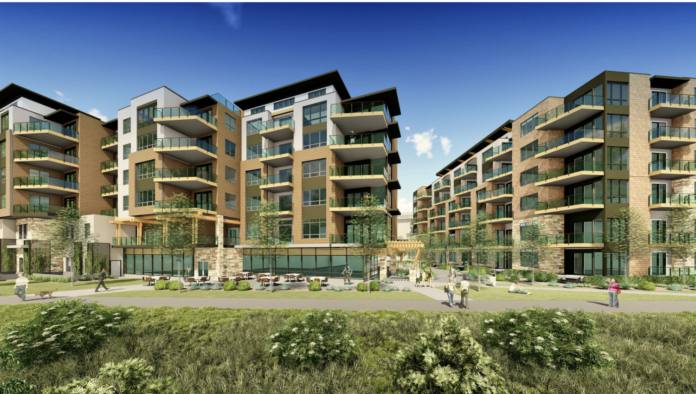 The project needs a raft of permits from the City of Boise, including a conditional use permit, planned unit development, floodplain permit and Boise River system permit. The buildings stand as tall as 79 feet, above the 45 feet allowed under the current site zoning, which would need an exception through Boise’s PUD process. It will also need permission to use the Boise River Greenbelt for emergency fire access. Suggs asked the City of Boise to delay its appearance in front of planning & zoning until May 6th or 13th. “We are currently working with City agencies to provide additional information that is needed/requested. It is important that this additional information is included in your staff report to P&Z,” she wrote. A previous, very different, version of the project, applied for in 2007, ultimately did not materialize.